Connecting to the Deca-Dent is both simple and versatile. 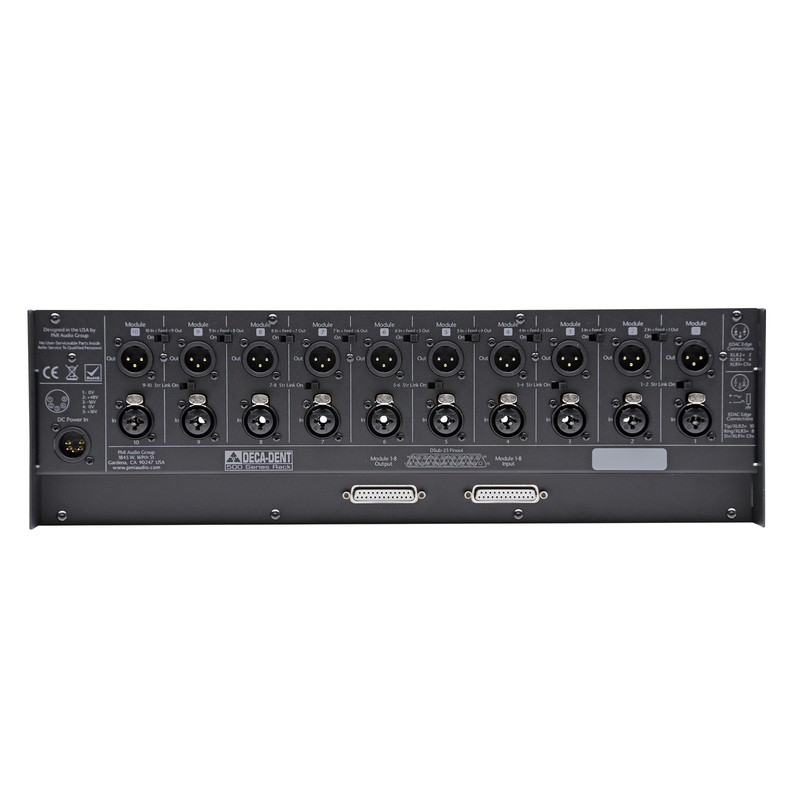 Each channel can be connected via a combi jack which supports both XLR or 1/4” input. 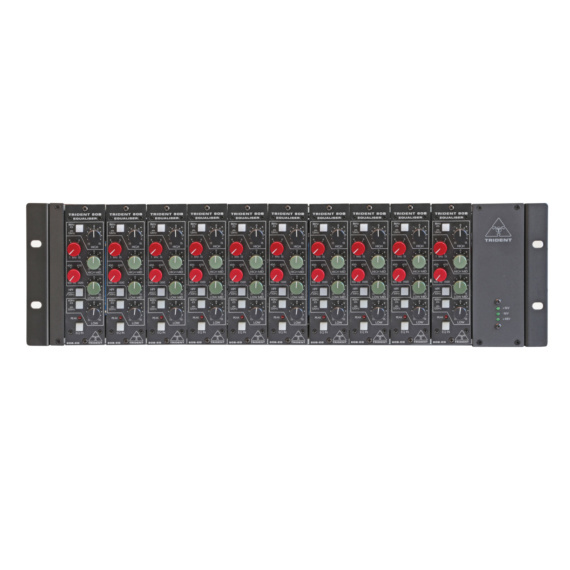 The output for each channel is XLR. In addition to this the first 8 channels of the 10 space rack are also accessible via a DSub (DB-25) connection for even simpler connections. Beyond the connections of the rack, there are also very powerful linking features. Each pair of channels from left to right can be set to feed the Output of the left channel into the Input of the right channel, without the need to physically do this with cables. In addition to the Feed feature, the channels are also stereo linkable via the “Stereo Link” switch. This ties pins together on Odd/Even pairs of modules, and if the modules already support a Stereo Link function this switch will additionally activate that feature. 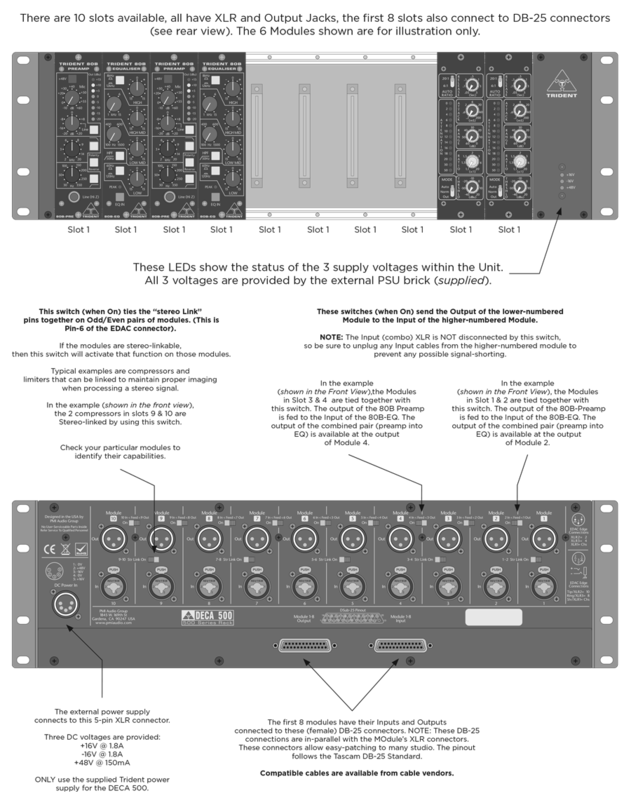 This makes stereo linking of compressors or limiters extremely simple and there is no need to physically link the units with cables. 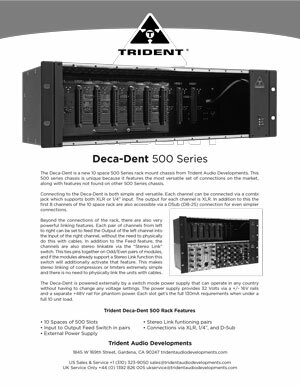 The Deca-Dent is powered externally by a switch mode power supply that can operate in any country without having to change any voltage settings. The power supply provides 32 Volts via a +/- 16V rails and a separate +48V rail for phantom power. 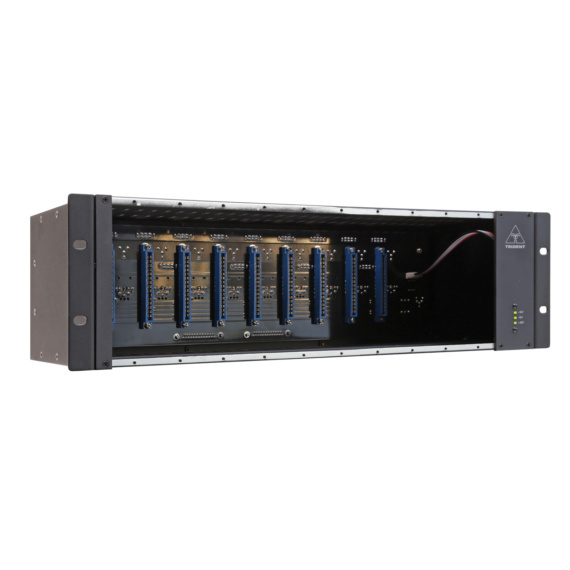 Each slot get’s the full 130mA requirements when under a full 10 unit load. Register your product to guarantee your warranty, proof of purchase is required*. What Trident product are you registering? Would you like your studio to be featured on the Trident website?